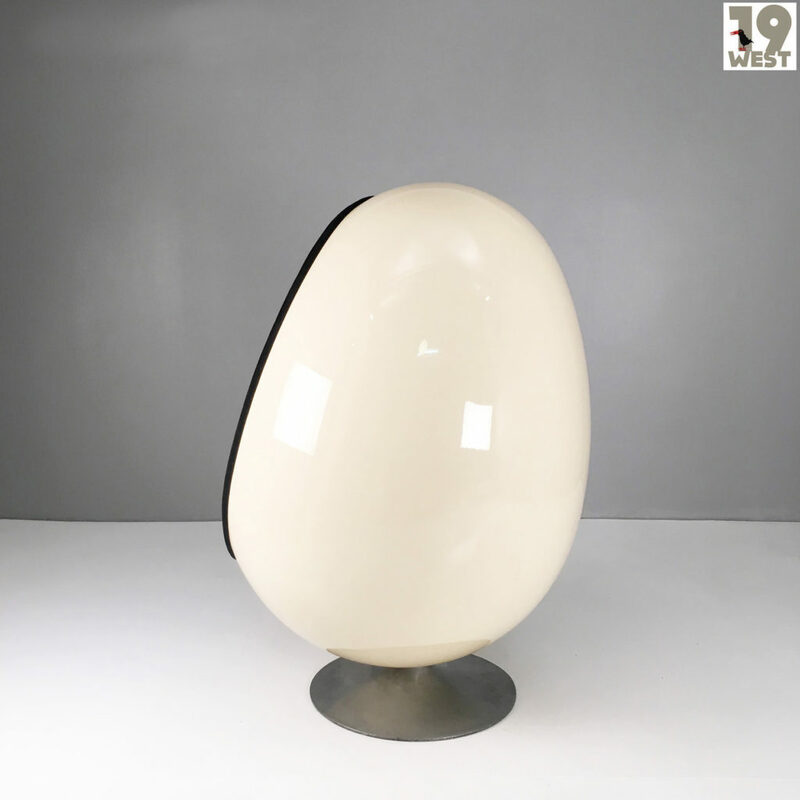 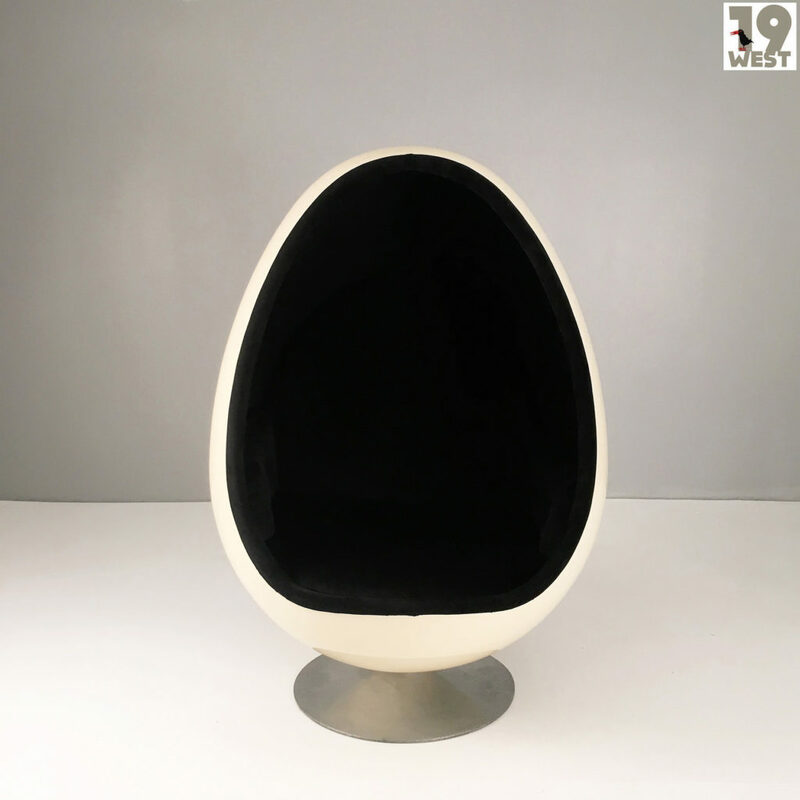 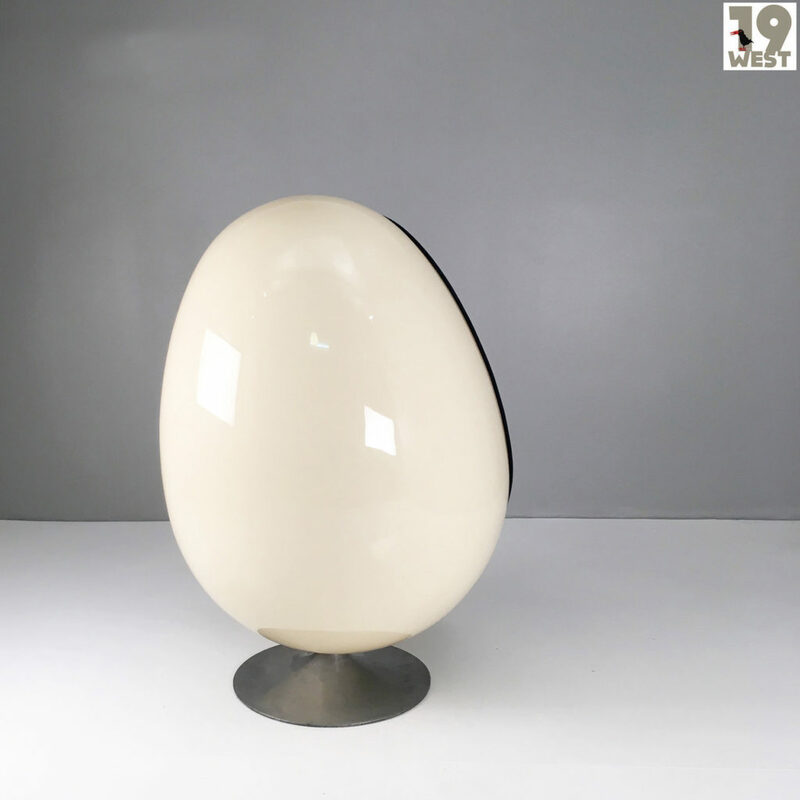 Ovalia Egg Chair, designed in 1968 by Thor Larsen, made in Sweden by Torlan Staffanstorp. 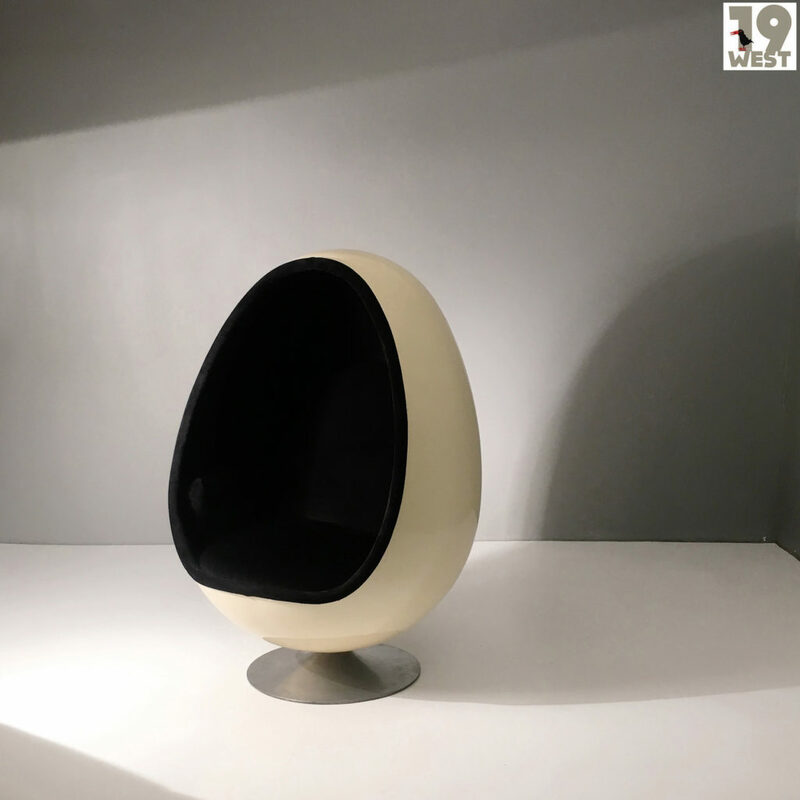 The Ovalia chair is one of the outstanding designs of the Space Age of the late 1960s. 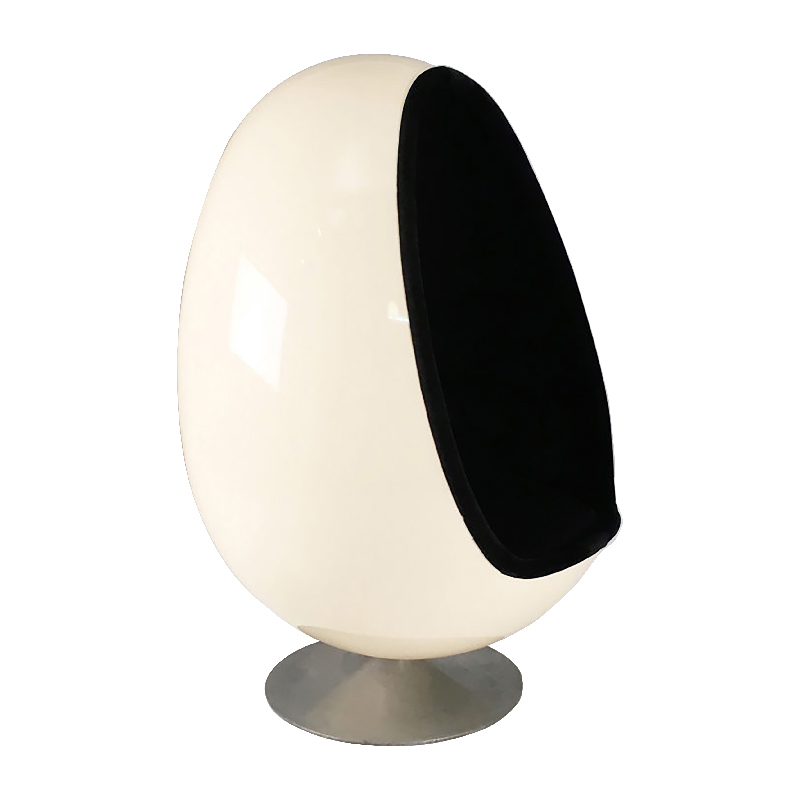 It is not only extremely comfortable, but also a perfect retreat, as its shape absorbs most of the ambient noise. 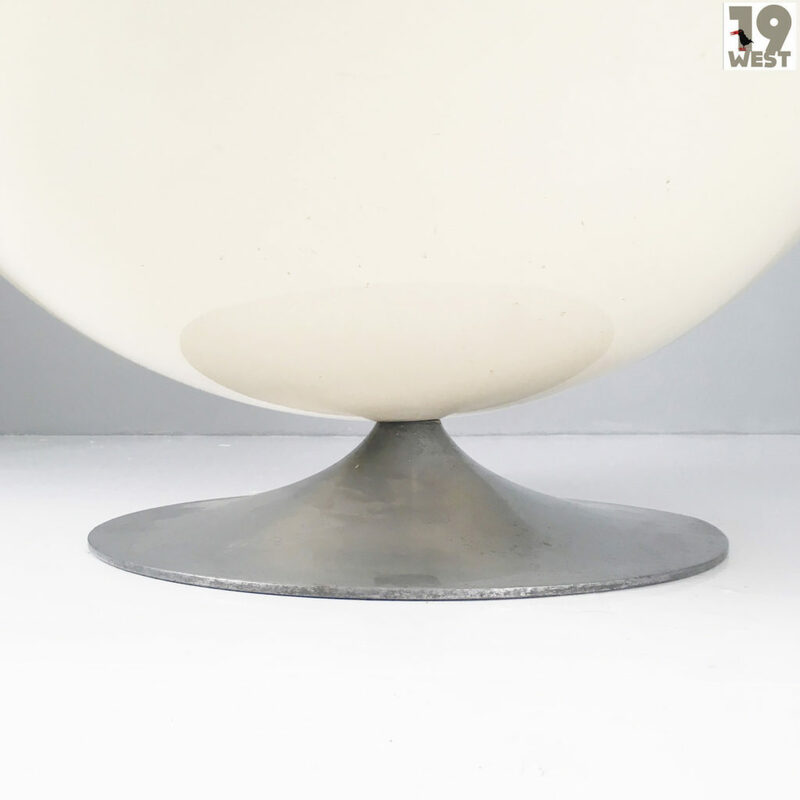 The armchair consists of a light beige fibreglass shell on a rotating plate made of polished aluminum. 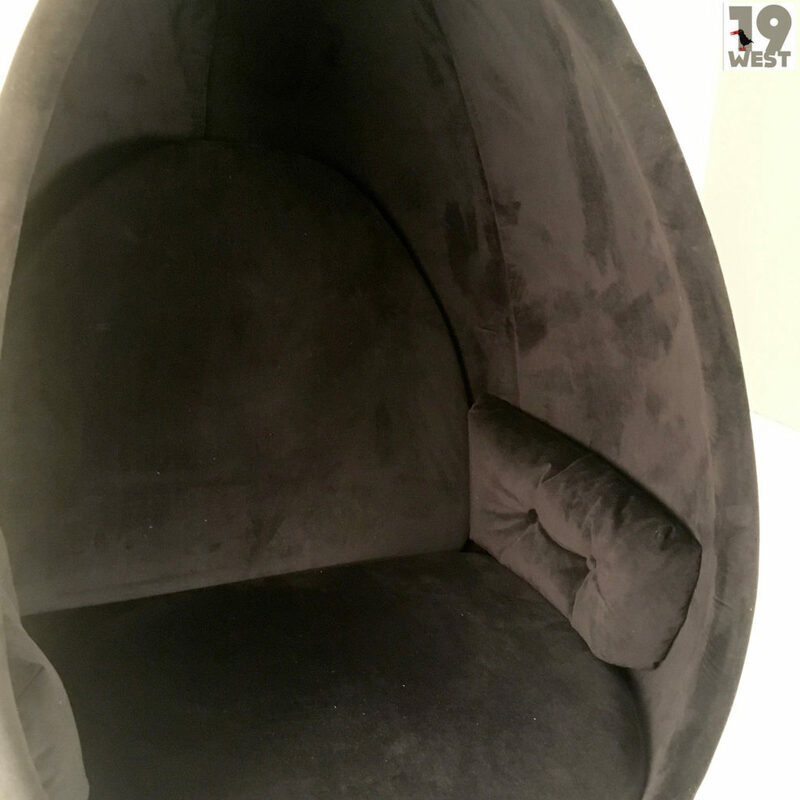 Its interior is covered with a black velvet-like upholstery fabric. 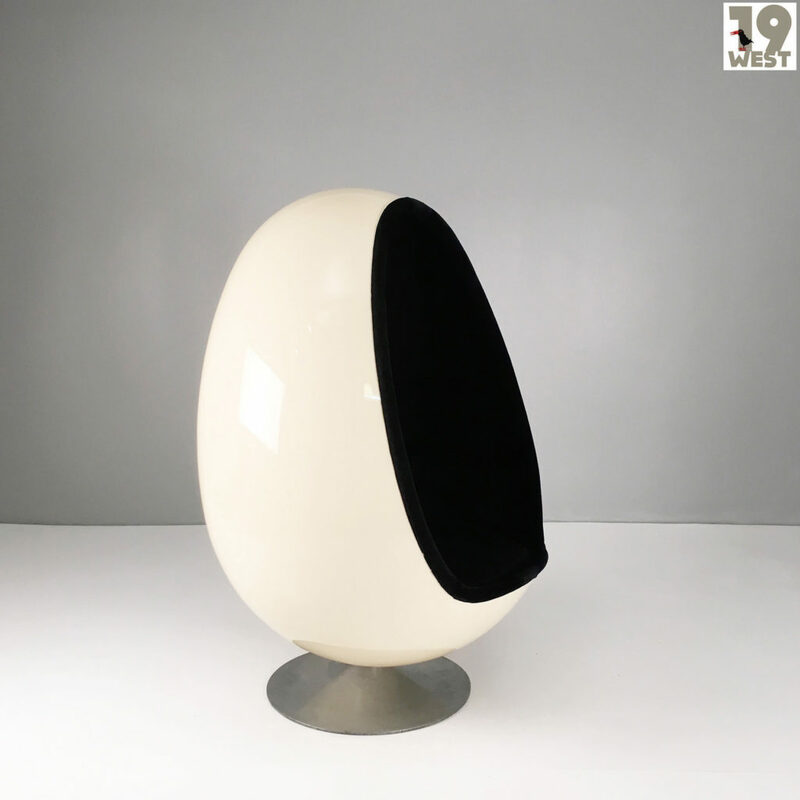 The condition of the chair is very good, with only light signs of wear. 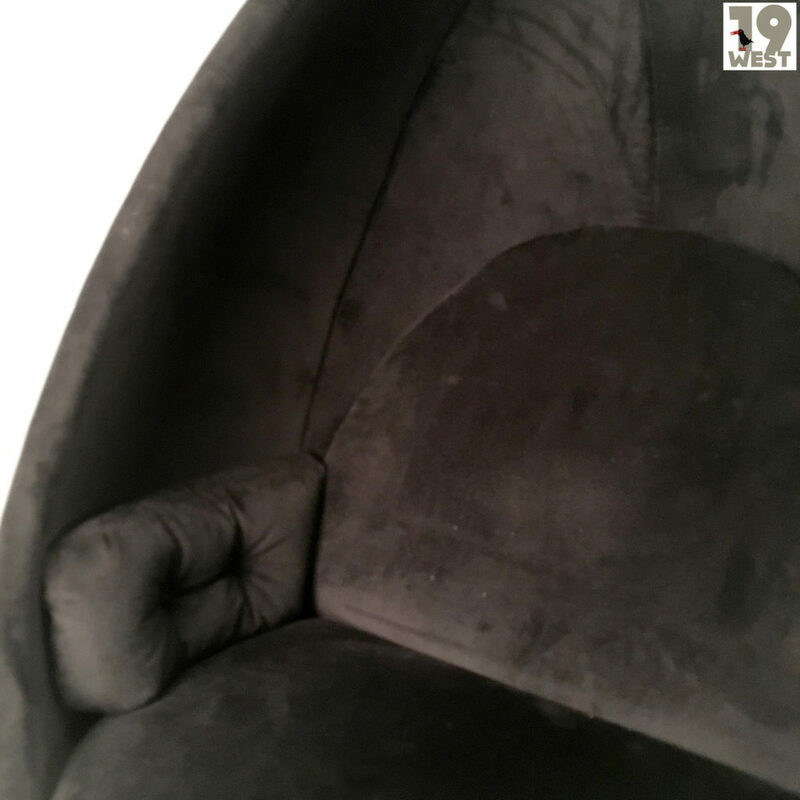 The upholstery has recently been completely renewed, as seen in the TV show “Dein bestees Stück – gebracht, gemacht!” on the German TV channel DMax (first broadcast 18.04.2019).